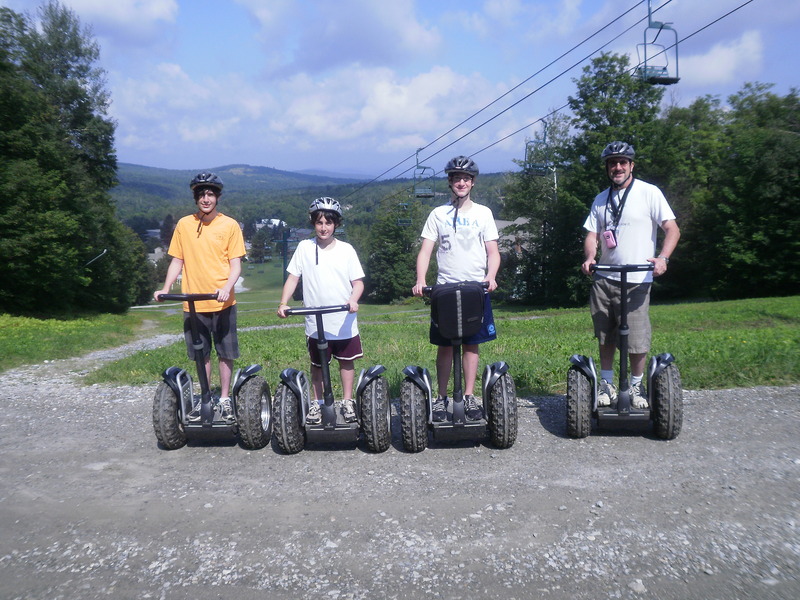 This post is really not about my guys going off-road on segways. Though they did. And they had a fantastic time. This was at Smuggler’s Notch in Vermont. We also swam, hiked, and ate. Oh, and we did nothing. Nothing. That was the part I liked best. Because it’s so rare that we get to do nothing. Okay, truthfully, that entailed reading and talking and hanging out. So it’s not really nothing, it’s something I crave. And it’s when we really connect. These are the times I love the most. And I think these are the times I’ll remember always. ‘Cause when we’re all together with no pressure and no schedule, it’s just so relaxed and happy. And that’s what I love about summer. As summer ends, I feel it. The nagging at my stomach. The sweat and fear. The dreaded…. Now, I don’t mean to be crabby, but to have a kid out the door at 6:45 means breakfast at 6:30 at the latest. That means alarm at 6:00.
blah, blah, blah. You get the picture. It’s just part of the deal. So I know a lot of you are psyched that your kids are going back to school. I’m an awful mom… Paige catches her 6:37 bus with out any chats from me. Daddy spends about 1 minute with her, but I do not! I really believe I’m not presentable to speak with anyone before 8 AM, including my kid. I used to be a morning person. Now I can 1/2 fake it. It’d be tough if I didn’t have it in me at all… Now 10pm? I’m no conversationalist, I can tell you that!